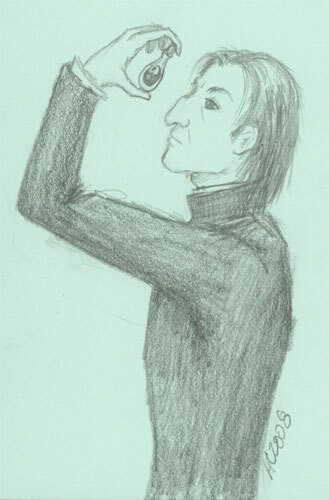 I did a pair of Snape sketches a few years back, and I found this one lurking on my hard drive when I went looking for pieces to round out the week. 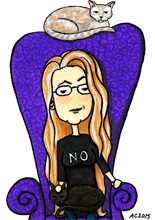 They were sent off to friends who hopefully still appreciate them, and I’ve always liked this one a bit better of the two (ssh, don’t tell). I’d originally bought this paper hoping to do the trick with black & white Conte pencils, but the paper itself was too pale for the white to work will. Still, it’s come in handy for other pieces like this one — one thing I’ve learned over the years is that art supplies will always be useful someday! Potions Master, 6.375″x4.25″ pencil on paper, nfs.